The Status of Birds in Britain and Ireland was written to update the British Ornithologists' Union's last full Checklist published under the same title as far back as 1971. Since then there have been remarkable changes in both distribution and abundance of the region's birds. Some species have become extinct as breeding birds, whereas others have colonised and even become quite common; many of our most familiar birds have suffered critical declines with changes in land use and climate. Dozens of new species have occurred as vagrants, and many previous vagrants now occur much more frequently. Furthermore, there has been a major revolution in bird taxonomy. 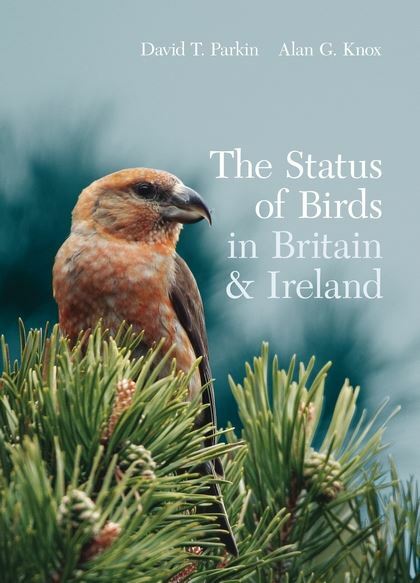 The book summarises all these changes and gives an up-to-date account of the status of the birds in Britain, Ireland and the Isle of Man. The book has been written by two former Chairmen of the British Ornithologists' Union Records Committee, and long-serving members of the BOU Taxonomic Sub-Committee. It was compiled with the close cooperation of former colleagues in the BOU Records Committee and TSC, as well as key figures in the Republic of Ireland, Northern Ireland and the Isle of Man, to ensure it reflects the 'official' position in all the countries covered. The Status only includes records accepted by the committees responsible for each of the countries, follows the new taxonomy of the BOU, and uses English names approved by the International Ornithological Congress's working group on English names, as also adopted by the BOU. 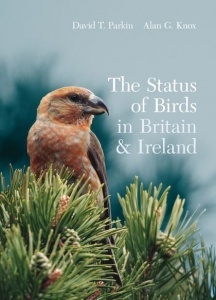 As such, the book is the only key text reflecting the 'official' status of birds throughout Britain and Ireland, as followed by bodies such as the Royal Society for the Protection of Birds, the British Trust for Ornithology, the Joint Nature Conservation Council, BirdWatch Ireland, the BOU itself, and many others.